What are Wingdings and Dingbats? A dingbat is an ornament, character, or spacer used when setting type; they are also known as a printer’s ornament or printer’s character. Dingbats are as old as movable type, printers used these ornaments to add borders, fleurons and other small pieces of imagery to printed materials. For example, on the title page for Alexander of Tralles you can see an ornament of a crab holding a moth between its pincers. The origin of the word ‘Dingbat’ is unclear, although some say it was used in a similar way to ‘gizmo’ and ‘thingumabob’ – names for items whose proper names are unknown or an oddity. Today, dingbats are used to refer to dingbat fonts; fonts made up of imagery instead of letterforms. There are a wide range of dingbat fonts available, some of which are inspired by old printer’s ornaments. 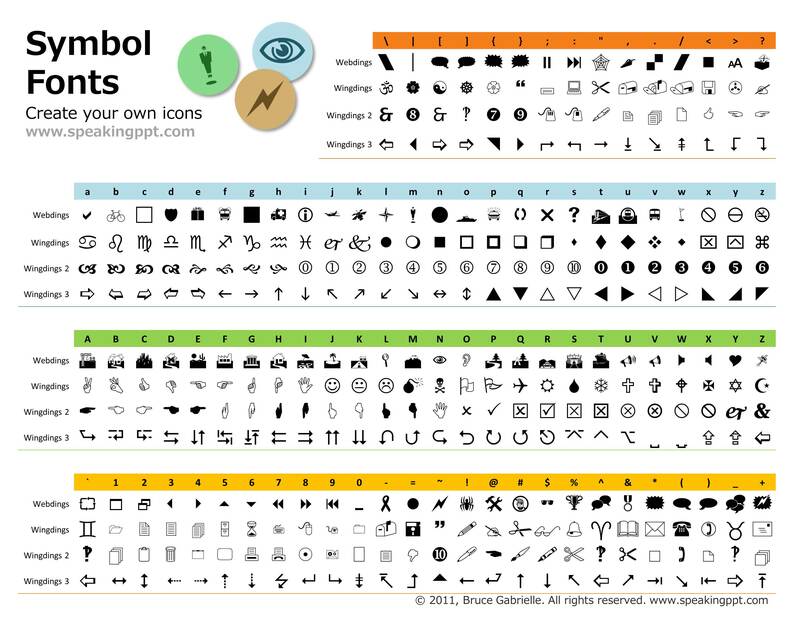 Wingdings are simply dingbat fonts, created in 1990 by Charles Bigelow and Kris Holmes. They were originally designed to work in combination with their Lucida Sans and Lucida Bright typefaces. In the days before clip art, the wingding fonts provided a easy and memory efficient way to insert small icons, stars or arrows into a word processing document. How can we use dingbats now? As we all have the wingding fonts installed on our computers there is no reason not to use them if you need a simple set of arrows or icons. By converting your selected glyph into outlines in InDesign or Illustrator you have a working vector to do with as you please. For example, say I wanted to use the nice ampersand from Wingdings, I would type out a lowercase ‘k’ and change the font to wingdings. Then I would go into the ‘Type’ menu and select ‘Create Outlines’ and the result is a scale-able vector that I can use for whatever I want. Below is a handy guide to show what glyph is assigned to each character. This same process can be done for any font and there are tons of dingbat fonts out there including free ones. Font Squirrel have a number of free dingbat fonts and some are particularly useful if you need symbol sets and icons.